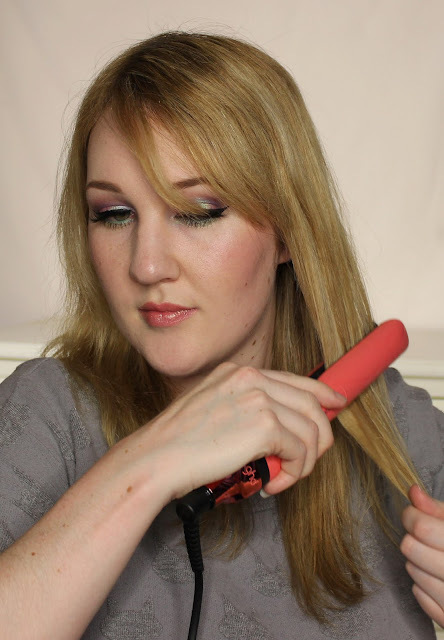 If there was ever a beauty product to lives up to its hype, it's got to be ghd hair stylers. I can't tell you how long I've wanted one of these babies and now that it's here, I'm not exaggerating when I say that it has exceeded my already high expectations. 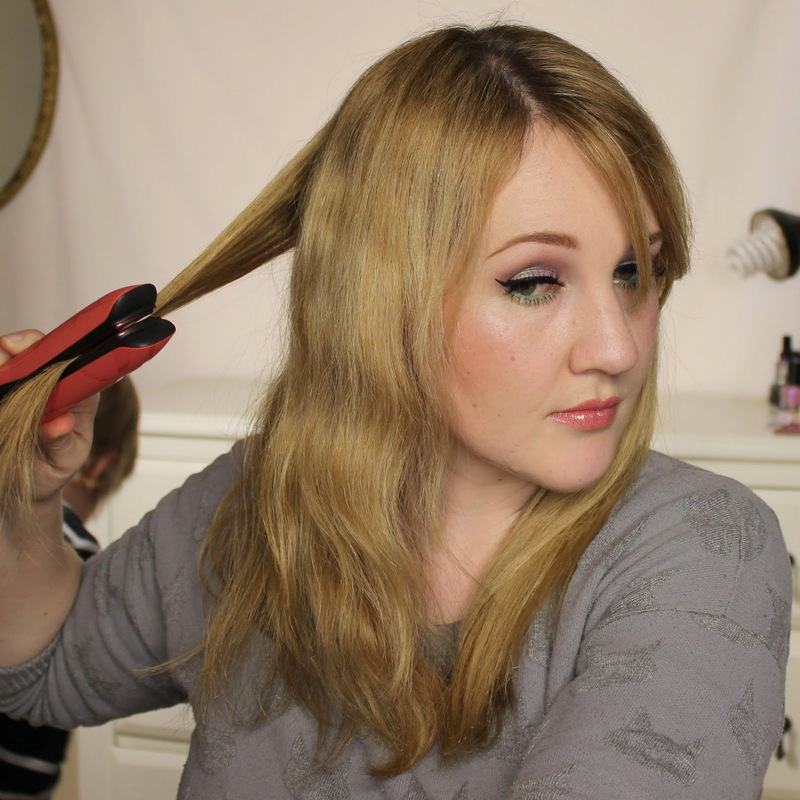 A hair straightener is a hair straightener is a hair straightener, right? Yes and no. 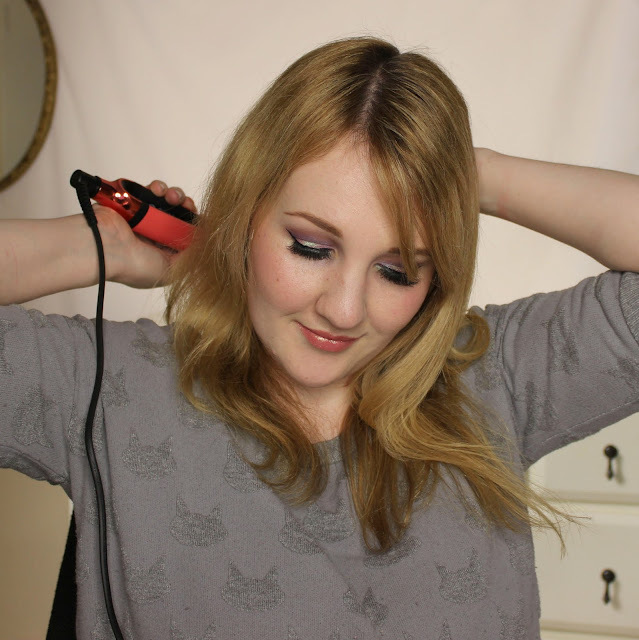 I've used a few different stylers in my time and while all of them have done the job, ghd leaves them in the dust. 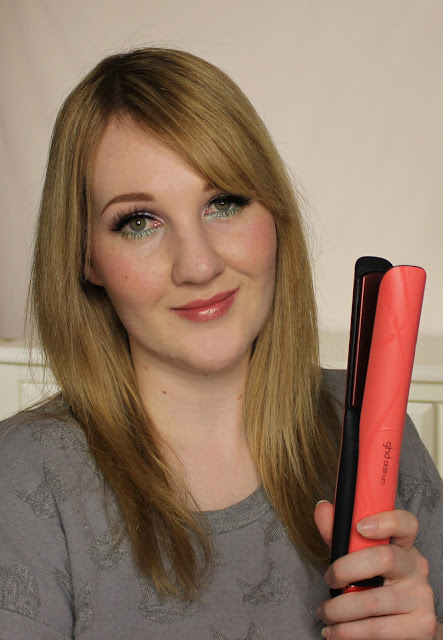 The twenty-second heat up time and consistent temperature make it easy for me to safely style my hair quicker than ever - perfect for my lazy self! 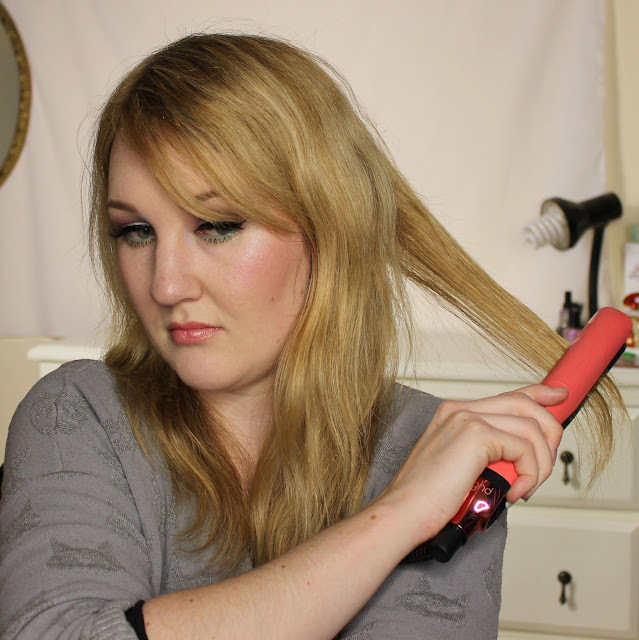 I was extremely fortunate to be sent the ghd Platinum Pink Blush Styler (RRP $370NZD) to try out. Outfitted in matte coral with ribbons of gloss and chrome pink accents, this baby is SO me, I can't even deal. It's a feel-good splurge, too, as $20 from the sale of each styler goes to Breast Cancer Foundation New Zealand. That gorgeous clutch you see there is actually a heat-resistant storage roll, giving you a safe place to put the stylers while they heat up or between uses, and it's ideal for travel. Also included is a heat-resistant plate guard to further protect your investment. 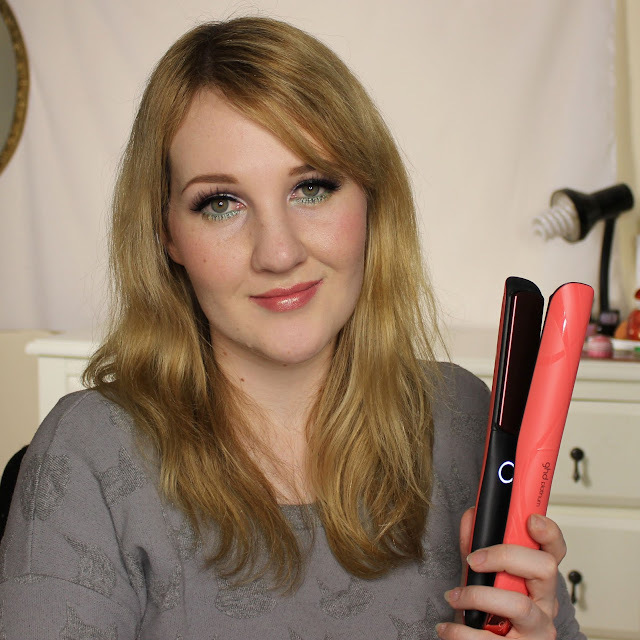 I LOVE how fast they heat up as it means that I can run them through my hair in a flash on even the busiest bleary-eyed mornings - I'm definitely a fan of the 'look good, feel better' policy! Here's what I'm starting with! My hair is medium length, on the thick side and half-heartedly wavy, like it gave up partway through deciding on a hair type 😂 It's also colour-damaged, resulting in a bit of fluffiness. I prep my hair with a bit of argan oil and a healthy dose of heat protectant, then loosely section my hair into two side sections and one back section. No sectioning clips needed for this quick polish up! I work back to front with the side sections, focussing on the lower layers first. A brief guest spot from Mr 6! Next, I finish up the side section by straightening the top layers and giving my fringe a quick sweep through. Then I move onto the back, going by feel a bit here. And moving onto the other side section, I repeat the same process of working back to front, bottom to top. And I'm done! 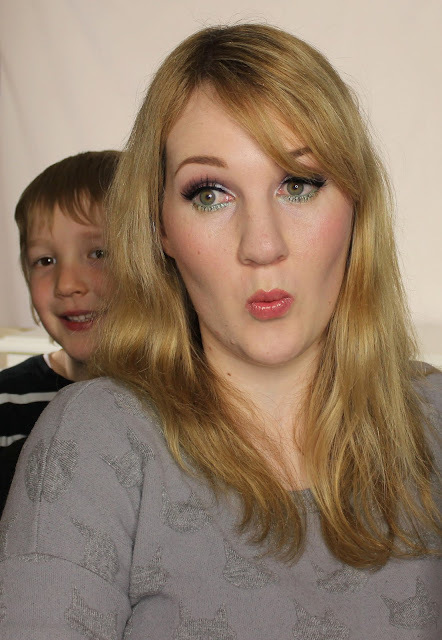 Polished, unfussy hair to make me feel put together on even the most dire school-run mornings. I realise that was quite a few pictures, but I promise the whole thing took me less than five minutes from turning on the ghd. It's a total gamechanger that I never want to be without again! ghds can be purchased from selected salons (use their handy locator to find your closest one) or directly from ghd NZ. Have you tried ghds? How do you style your hair?